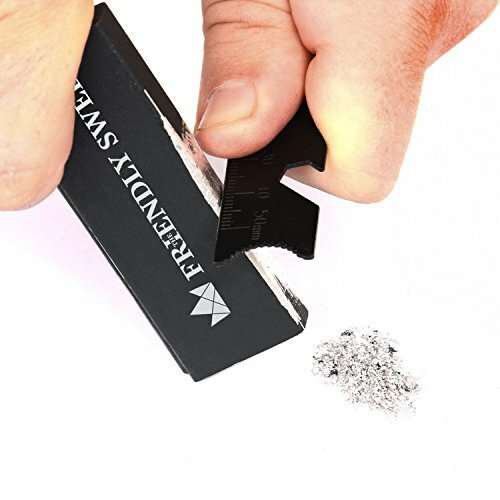 EASY FIRE STARTING: Your new magnesium fire starter kit makes it especially easy to throw sparks and start a fire. The Mag Bar works in any weather conditions – rain, snow, high-altitude. The fire lighters are suitable for camping, survival, bushcraft and other outdoor activities. FIRST-STAGE TINDER IS BUILT-IN: The mag bar is your tinder, whereas a common fire starter requires separate material and it is not always easy to find something that will readily light. 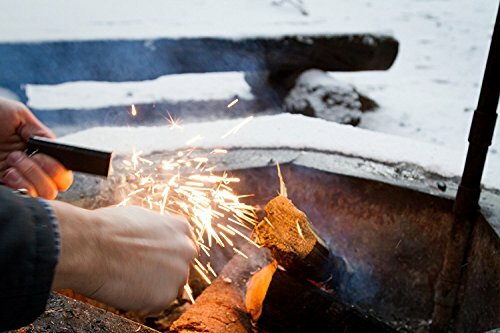 EXTREMELY HOT SPARKS: The flint rod will throw hot sparks just as well, no matter how windy it is. 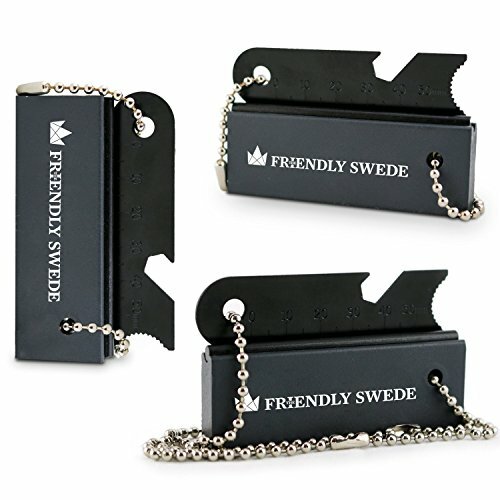 The handy striker which also can be used as bottle opener makes this fire steel perfect both for experts and beginners. 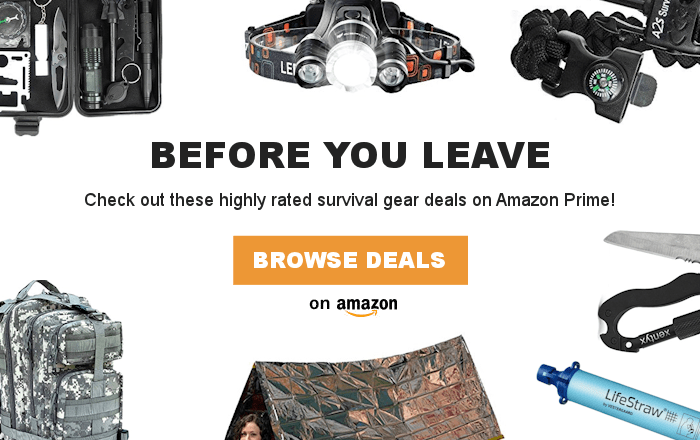 Suitable for camping, survival, bushcraft and other outdoor activities. 1. Using the flat edge of the striker, shave the block to create a small pile of magnesium alloy. 2. Prepare your tinder next to the magnesium alloy pile. 3. Hold the flat edge of the striker against the top of the flint at a 45° angle. Slide firmly down the flint to create sparks. Allow sparks to fall onto magnesium alloy pile. 4. Use magnesium alloy to ignite tinder. Place burning tinder into fire. Don’t suffocate the fire – build fire slowly using small pieces of wood. * Note: Firestick is covered in protective oil. Wipe off oil before use. For outdoor use only – use in controlled environment. LONGER LASTING, CONVENIENT AND COMPACT: You can start many (thousands) of fires with this bundle of 3 firesteel blocks with chains.